Childhood is the “intertwining of imagination and memory” where images form within us. They become an inherent part of our being yet, they remain inactive and hidden into adulthood. These images can be restored to our soul and relived through words or images that recall and resonate off of these early images formed in childhood reverie which lie deep in our memory. These early childhood memories are not specific- like the time one stayed with grandmother, a historical fact retold by one’s family- but entail more eternal images- like, “climbing a tree and swaying in its branches on a cool summer’s eve, feeling joined to wind and sky and expecting to soar to the heavens at any moment I choose”. It is an image like this that evokes the “permanent childhood” and leads one back to a renewed sense of being and possibility when one had a sense of wonder and amazement for all things. Where the re-created world of the imagination comes, from a soul “bestowing a gift” upon the world. This new found childhood speaks of the archetype of childhood itself, yearning to recall those things that call us back to those images that enriched our life and gave us happiness and hope and allowed us to love the world freely. Thus, the artist must locate the “new archetypally true image” to call one back to oneself and recover the “universes of childhood”. The artist must seek these archetypal images that resonate and therefore activate these latent childhood images. How we all yearn to be connected to the greater world and abandon our own isolation which removes one from mankind. The child lives his reveries in solitude and develops his images there, not in isolation, but in harmony and connectedness to greater forces in the world. It is here that the artist must begin- from a place of solitude, where simple images present themselves. Are not simple images the most effective- Monet’s, “Haystacks”; Henri’s portraits of children; Manet’s, “Dead Toreador”; Sorolla’s children on the beach? 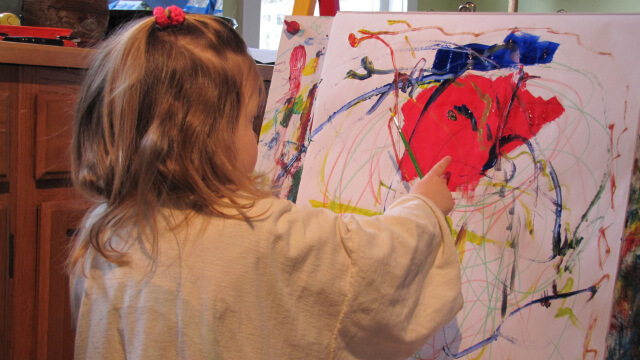 To recreate something with the eyes of the child, from his perspective is to re-imagine it in a “new” way. The child re-imagines the object and re-presents it to the world as something magnificent to behold. The everyday object becomes fabulous, other-worldly; mysterious; mythic. Having a 3yr. old myself, I can easily identify this aspect of the creative imagination. My daughter has what she calls an “adventure stick” ( which is a hollow cardboard tube from some wrapping paper). This stick is at once a spy-scope, a walking stick, sword, animated friend and companion and parade baton. This ability to re-create, reform and make “new”, imbuing it with ‘fabulous’ qualities is the unique character of childhood. This quality allows her to enter a world where all is unified and where all is possible. As an adult she will yearn to return to these early images, where reverie was such a part of her experience of the world. Can the artist create images that unlock these sensations once again allowing the individual a moment of cosmicity? 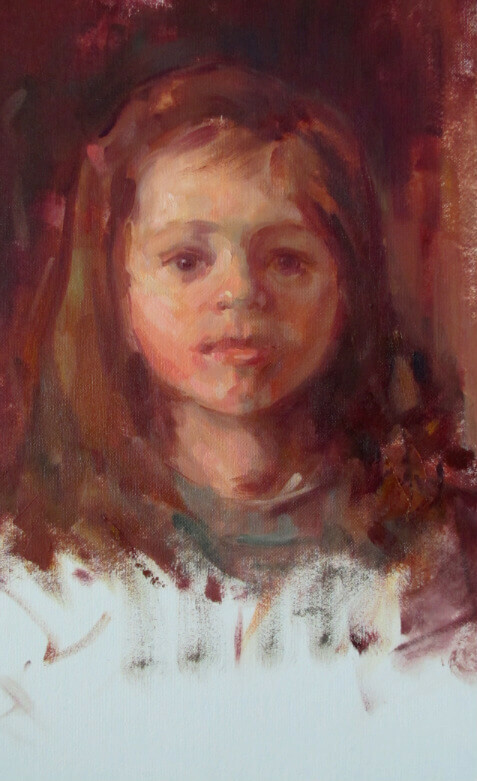 Wonderful paintings, the portrait captures the innocence and openess of childhood so well. Actually both paintings do in different ways. Your writing reminds me about the most important things about art things I too easly forget in day to day activity.